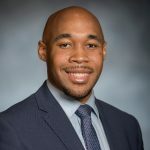 This instructive post is by ELGL member and GovLove host Javon Davis. If you’ve ever wanted to introduce yourself and your local government to the ELGL fam, you are about to get your chance! Starting on September 18, 2018, ELGL will allow members to take over their Instagram account for a day and allow you to walk us through a day in the life of someone who works in your city, county, town, or village! Javon Davis takes over the ELGL IG account on Friday, September 7, 2018. This is a great way to highlight what you are working on, give some fun facts about your area, and brag about why it’s cool to live and work where you do. We really want this to be a fun way to learn more about those who make up the ELGL community, so be sure to follow ELGL on Instagram. The takeover will only last one day and will be scheduled on a Tuesday that fits into the ELGL social media calendar. You’ll be expected to share pics on IG throughout the day. Sign up to takeover the ELGL Instagram! Don’t want to make a post about it but still want to share? Feel free to create an Instagram story for the day too! Do not change the information associated with the account(password, username, email address). Make sure to check all posts for spelling and grammar before posting. No offensive language, slurs, taunting or signs/mentions of anything illegal or anything else that could be deemed inappropriate. Do not include any photos of minors without parental consent. That’s all, folks! Be sure to sign up through Sign Up Genius to pick a Tuesday. Can’t wait to see you all on IG!